The 12 Days of Christmas Competition Draw is NOW CLOSED! The 2016 12 Days of Christmas Competition Draw is now closed. Join us next for for 2017 edition! Day 1, 8th December: Toni in La Cala! 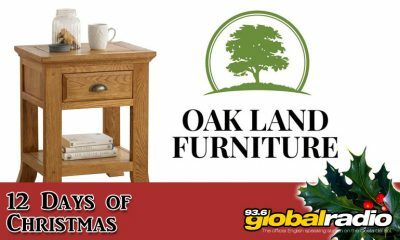 Toni won the beautiful 100% Oak Bedside Table, from Oak Land Furniture, Spain. Day 2, 9th December: Traci in Valtocado! 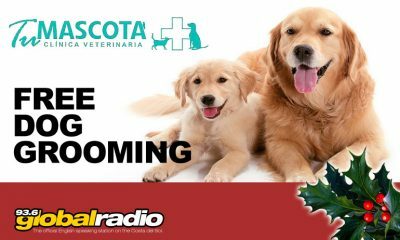 Traci won the fantastic gift of Dog Grooming and Health Checkup from Tu Mascota on the Camino de Coin. Call them on 952 492 646. Day 3, 12th December: Liz in Carib Playa! 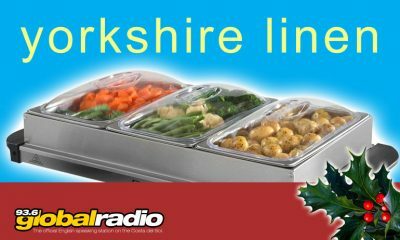 Liz won the excellent Server/Buffet from Yorkshire Linen Warehouse! Visit Yorkshire Linen Warehouse at yorkshirelinen.es. Day 4, 13th December: Patricia in Fuengirola! Day 5, 14th December: Kevin in Riviera del Sol! Day 6, 15th December: Lin in La Cala! Lin won the €50 to spend in ‘The Fabric Boutique’ in La Cala de Mijas! Check them out on Facebook. Day 7, 16th December: Kenneth on Riviera del Sol! Sadly, UKTVSmartBox chose NOT TO HONOR THEIR GIFT, as had been arranged. Luckily for Kenneth, the very kind and helpful Mick (manager of the fantastic Fuengirola Adventure Golf – http://www.fuengirolaadventuregolf.com/ ) stepped in and donated another TV system. Huge thanks to Mick and shame on you to UKTVSmartBox. Needless to say, we DO NOT RECOMMEND UKTVSMARTBOX. Day 8, 19th December: Allan in Benalmádena! Day 9, 20th December: Susan in Miraflores! Susan won the 2 Beauty Treatments from El Oceano Beauty Salon! See their Facebook Page or the website! Day 10: 21st December: Jilly from Miraflores! Day 11: 22nd December: Bill in La Cala! Bill won the splendid 36 bottles of wine from the Miraflores Supermarket at the top of Riviera! See their Facebook page! Always great offers! 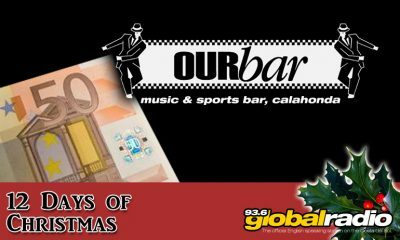 The Twelfth Day of Christmas: Jo in Calahonda! WIN A FAB CHRISTMAS PRESENT EVERY DAY! 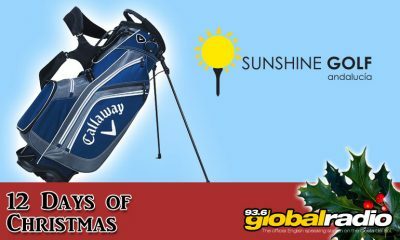 For the 12 Days of Christmas, 93.6 Global Radio will be giving away one gift to a lucky listener every day. The gift-giving starts on Thursday the 8th of December with the final draw on Friday the 23rd of December. That’s 12 days, 12 Christmas prizes! €1,681 worth of Christmas Gifts! Each day, one prize and one lucky recipient will be drawn at random. No questions, no strings, just drop your contact details in to the form below to enter! Tune in to Stefan’s show from 6pm to 10pm every weekday between Thursday 8th and Friday the 23rd of December for the prize gift and the winner! Tune in to Stefan’s Show to Hear the Christmas Winner! 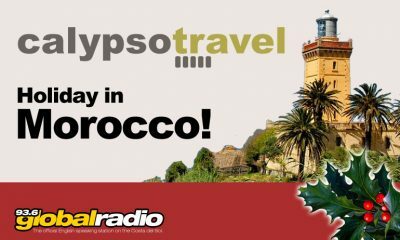 Join Steffan on the Costa del Sol every weekday evening between 6 and 10. Great music takes you in to the night. Tune in on 93.6fm. All the TV you’ll ever need! 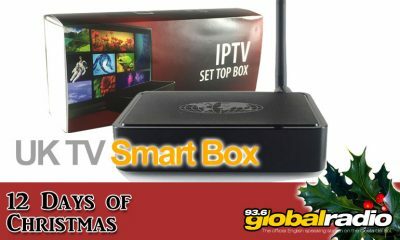 A great gift of TV Box and Subscription, courtesy of UK TV SmartBox! 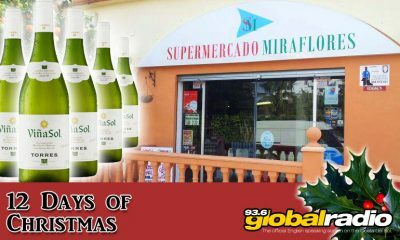 WIN 36 Bottles of Torres Viña Sol White Wine with Miraflores Supermarket! Gift: WON by Patricia in Fuengi! 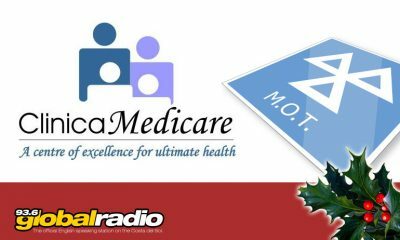 WIN a Medical MOT with Clinica Medicare, La Cala! 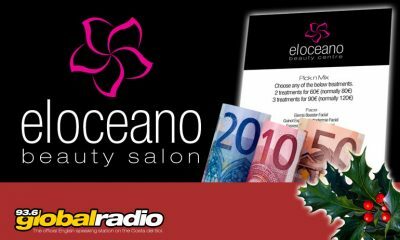 WIN 2 Beauty Treatments from the ‘Pick n Mix’ Menu at El Oceano Beauty Salon! 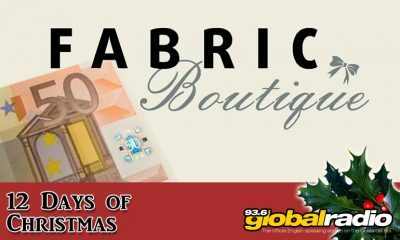 Win a €50 Voucher, courtesy of Fabric Boutique, La Cala. Beautiful fashion outlet. Spend €50 in Our Bar! Calahonda’s warmest welcome! Music, Sports & Family Bar. Gift: WON by Kevin in Riviera! 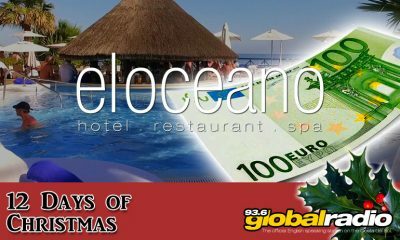 Spend €100 at El Oceano, the coast’s finest hotel, restaurant and Martini Lounge! Gift: WON by Liz in Carib Playa! Yorkshire Linen. Bed Linen, Towel and Curtain Specialists in Mijas and Marbella. Calypso Travel, Travel Agents – Exclusive worldwide destinations & tailor-made getaways! Gift: WON by Toni in La Cala! Oak Land Furniture. Huge choice of 100% solid oak furniture for your home. Gift: WON by Traci in Valtocado!